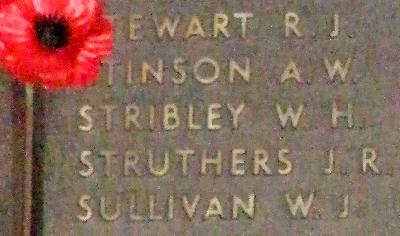 War Grave Register notes: STRIBLEY, Tpr. William Henry, 1666. 1st Australian Light Horse. Killed in action 4th Aug., 1916. Age 36. Son of William Henry and Elizabeth Stribley; husband of Katherine F. Stribley, of 28A, Porton St., Glebe, New South Wales. Native of Victoria, Australia. B. 58. School Church of England School, ?